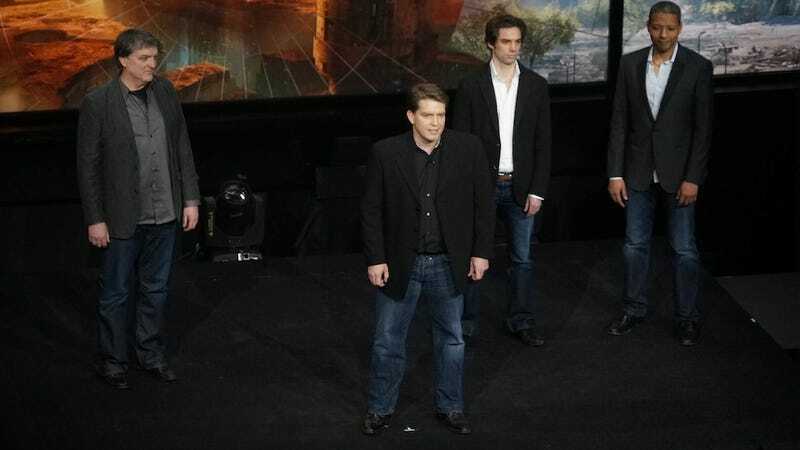 Why Were There No Women Presenters At The PlayStation 4 Event? Today we got a healthy dose of next-gen information, delivered to us by a bevy of excited, breathless developers and publishers. Here's the thing: not a single one of the presenters at the PlayStation 4 event were women, and people noticed. It's not something folks are happy about, either. This is a french Vita ad, which we covered before. To contextualize the next couple of tweets: Elizabeth retweeted Leena's tweet about no women presenters, and because of that, started talking about what she was going to do in response to the event. Getting women in games development is a noted problem in the industry, but the last year has seen a rise in conversation when it comes to gender and sexism in this industry. People will notice if, like today, there are no women presenters at your event. The question is whether or not that will change. I admittedly didn't even notice there weren't women presenters until someone else mentioned it, which probably says something about how used to situations like this we all are. Some won't even bat an eyelash.